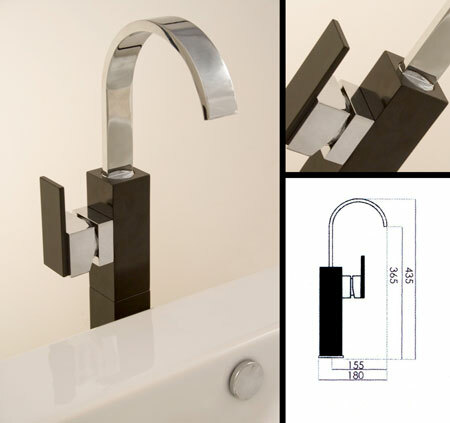 This tall extended tap is finished in a satin black and chrome finish. This wash basin tap is designed to be used with deck mounted wash basins and wash bowls. * Italian basin tap design.